Hyundai looks to be on a never ending journey with its Veloster. 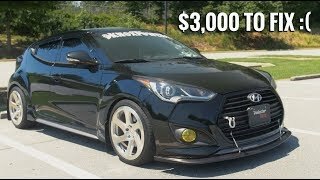 Talking about the days in past it began with a turbo model followed by R-Spec and finally with more goodies company introduces Hyundai Veloster RE:FLEX 2014. With no change in the performance figures, for this model company has kept all its emphasis over the enhancements through goodies. 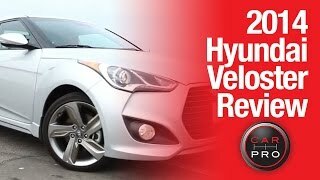 Let us have a look at the review of Hyundai Veloster RE:FLEX 2014 and learn more about it. While bringing the Hyundai Veloster RE:FLEX 2014 company has a particular set of customers in mind. 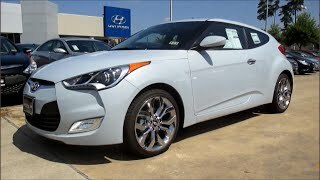 This included those who look for some sportive touch in their compact car and thus with their limited 3000 models they brought Hyundai Veloster RE:FLEX. Starting with the exterior amalgamations you have LED headlights and taillamps. The door sills too bring the touch of mesmerizing through its illuminated touch. Talking about blend of chrome, hood leads the segment with the accents of chrome accompanied by the 18” alloy wheels adored with PVD chrome finish. Along the side too chrome could be noticed over the door handles. Moving towards the interior not much can be noticed but yes the one inculcated are a treat to eyes. The first one is black or red full leather sitting while the seconds is the RE:FLEX badging over the floor mats. 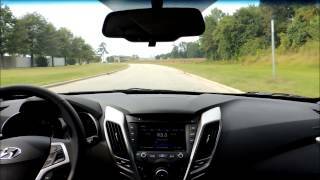 Rounding up the entire detailed description of Hyundai Veloster RE:FLEX 2014 we would say, its remarkable blend of sportiness to your compact hatchback. Hyundai Veloster RE:FLEX 2014 hides beneath its hood the same 1.6 Liter four-cylinder engine generating total output of 138 hp and peak torque of 167 nm paired to Six-speed EcoShift dual-clutch transmission. 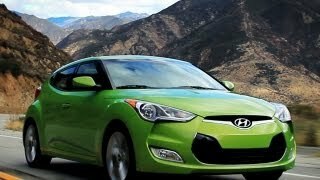 The Hyundai Veloster RE:FLEX 2014 can reach top speed of 130 mph while can knock the 0-60 mph sprint in 9.0 seconds.